New in our shop, the Puch Sweater. Whenever you want to go out for a ride in a fresh light breeze, this awesome Puch Sweater will keep you warm. 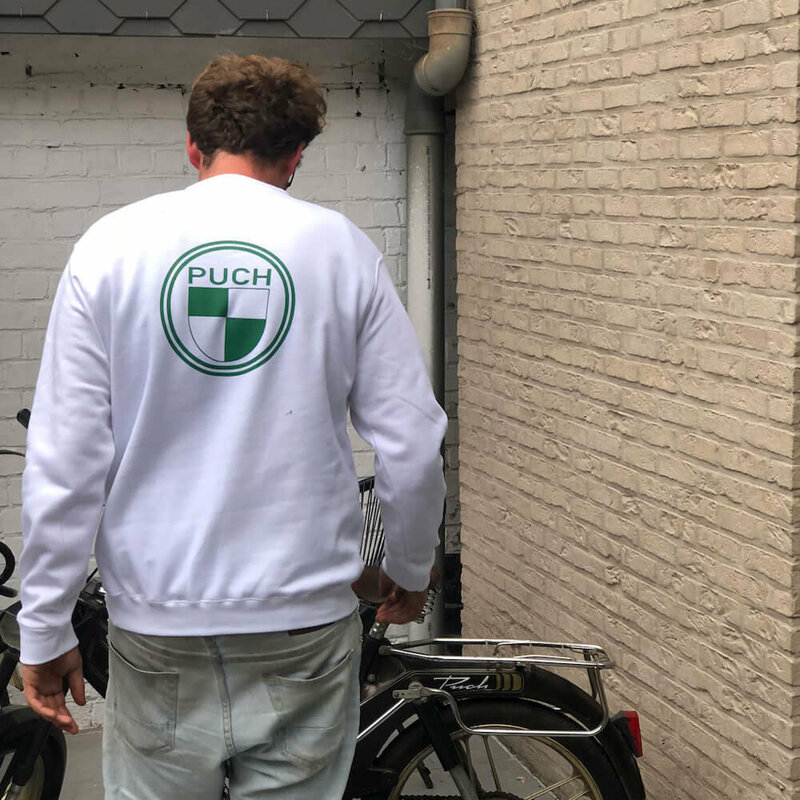 On the back you can find a large Puch logo which makes it possible for you to show off your Puch love! With Puch logo on the front and a large Puch logo on the back.